This April marks the 10th anniversary of the establishment of Optigreen Limited in the UK. Green roof systems from Optigreen are now available as BIM objects in addition to DWG, PDF and JPEG formats. 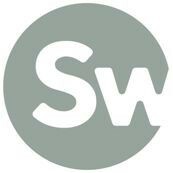 We would like to welcome Belfast based Sweeney Landscape Design as a new silver member of the Optigreen Partner Network. With a background in environmental conservation, company director Noel Sweeney is an advocate of the naturalistic style of planting and sees green roofs as a natural progression from this. Optigreen are pleased to announce that we will be participating in two Specifi events this year. Specifi create engaging and unique events which are free to attend for professional specifiers across architecture, landscaping and urban design. They are a unique opportunity to network with key decision makers in a relaxed environment and showcase why Optigreen is the ‘go to’ company for green roofs. Optigreen are pleased to announce that we are now a member of the RIBA CPD Providers Network. At Optigreen, we believe it’s important to constantly improve industry knowledge on the evolving green roof market. That’s why we focus our editorials on educational pieces demonstrating there is no one size fits all when it comes to green roofs. Green Roofs are not just focused to big cities. Improvements to our environment, both on an ecological and social scale are important nationwide, and some impressive projects are going up in far flung corners of the UK as specialist green roof installers Bridgman & Bridgman can attest to. Having recently completed a project in the Outer Hebrides, Chris Bridgman explains the considerations and planning needed when installing a green roof in a location with challenging environmental factors. On 19th September, we hosted the 2017 Optigreen Partner Conference. This year the event was held at the beautiful De Vere hotel Theobalds Estate in Cheshunt, Hertfordshire. Optigreen now have a suite of products to provide solutions for where greater levels of water management are required within green roof specifications. We have been through some changes here at Optigreen recently . In October last year, Nick Day took over as managing director following the departure of previous MD Stefan Zeller. Since then we have seen a few new faces joining the team, as well a change in roles for others. Greened roofs combine a variety of positive effects. Perhaps the most important and understandable argument in favour of green roofs is their role as an “ecological balance”. With its Nature Roof campaign and the Nature Roof system solution, Optigreen international AG presented a green roof structure over 20 years ago that displays greater ecological significance than frequently-used simple sedum roofs thanks to its biodiversity (species and structural diversity). Changes have been announced within the management structure at Optigreen. Our current Managing Director, Stefan Zeller, will be leaving the company to return to his native Germany. He will be replaced in this position by our current Technical Sales Director, Nick Day, who has been with the company for nearly five years. Around 74 hectares of natural space is sealed off in Germany every day. These areas are disappearing from the natural water cycle over the long term. The drainage system is outdated and insufficient in almost every town and city. Investments and expansions in the existing system are very costly and are thus avoided. The more affordable solution is to restrict the discharge permitted into the overloaded drainage network. What’s more, flooding verification in accordance with DIN 1986-100 has increased in importance over recent years. The quantity of water produced should be verifiably retained on one’s own property without buildings becoming flooded. Between January and March of this year a total of ten internal seminars for continuing education were held, during which nearly 300 professionals of the Optigrün International AG Partner Network were brought up to date with greening of buildings. In the course of these seminars participants were trained in the use of new products and System Solutions and informed about legal updates. This is the only way to maintain the high level of quality and fair market values associated with the Optigruen brand. Optigreen have developed a new and cost effective anti-slip system for extensive pitched green roofs. Called the Optigreen Type P system, it uses their new FKD 58 SD board and is suitable for sloped roofs between 15 and 35 degrees pitch. The specially designed drainage and water storage board is manufactured from pressure-resistant EPS (Expanded Polystyrene). PARLIAMENT OF THE GERMAN SPEAKING COMMUNITY IN EUPEN, BELGIUM. GREENING OF A BUILDING – IMPLEMENTATION OF A “GREEN SHROUD“ There is often the talk of greening the complete outer surface (four walls and the roof) of a building and provide it with a “green shroud“. This was done in Eupen, situated just over the border into Belgium, where the new Parliament building of the German Speaking Community is situated. The project was implemented in an exemplary manner over 635 square meters of roof and walls greening. At www.optigreen.co.uk Optigreen Limited presents their new internet presence. The homepage already shows how much information is provided on the website: system solutions, planning aids with downloads (CAD drawings, data sheets, technical subjects) and a short description of Optigreen Limited with contacts and international contacts. Furthermore news and fair events are easily viewable.